Tools to Grow Your Acupuncture Practice | Jasmine Software: What can a Branded Clinic App do for your Acupuncture practice? What can a Branded Clinic App do for your Acupuncture practice? The smart phone has become ingrained into our daily lives. Smart phones are now extensions of ourselves. As, Steve Jobs said, "Computers are bicycles for our minds." We're all becoming more comfortable in using various apps on the phone to conduct business and now, even track our health. As the technology of bits and atoms merge, in other words, the electronic and physical worlds come together, we'll be better able to track and plan our lives. Patient health and the delivery of health care will reap huge benefits. A progressive acupuncture practice will be able to take advantage of technology to provide better health care and grow your practice. A Branded Clinic App can offer many benefits for your practice, including instant access, direct patient communication, and patient health progress. A mobile app would provide your patients with instant access to your clinic. Allowing them the ability to easily schedule appointments without calling or browsing to your website. In addition, they can browse notes and even pay for treatments. 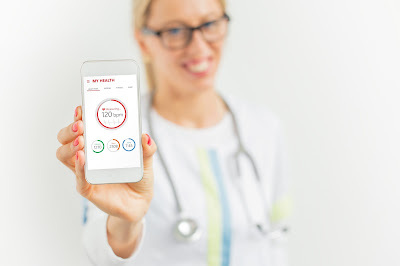 With the myriad of healthcare options, having an app occupy valuable real estate on your patient's screen keeps your clinic at the top of their mind. It becomes an additional marketing channel for your practice. Many clinics are already communicating with their patients through text messaging. We can agree or disagree whether this should be happening, the fact is, patients are becoming comfortable with the communication channel. A mobile app would provide you and your practice a secure, HIPAA compliant way of direct patient communication. We're increasingly using apps to track our health from diet, exercise, even bowel movements. The more data that is available, the better informed you, the practitioner will be of your patients' habits and the effects on their health. In turn, providing you with more information on how the patient should be treated. What other benefits can you think of? I'd love to hear from you! And if you are interested in being part of the private invite for the Branded Clinic App, sign up with the link below. Sign me up for the private invite!